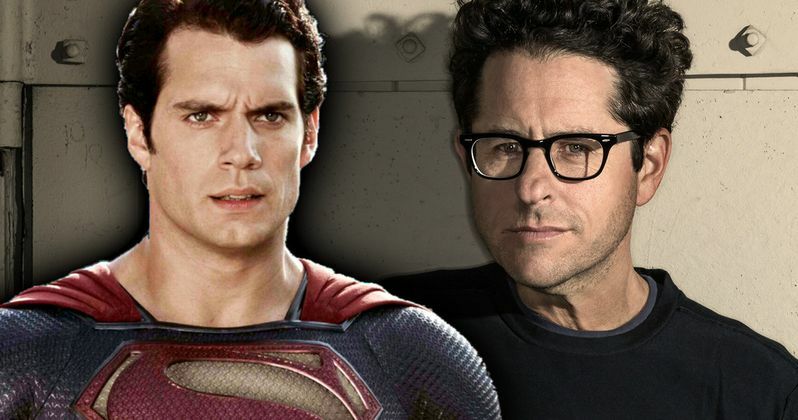 Is J.J. Abrams Directing Superman Sequel Man of Steel 2? Warner Bros. is currently trying to keep things together with their DC Extended Universe, after both Suicide Squad and Batman V Superman: Dawn of Justice were trashed by critics. One of the largest problems facing the DCEU has been the treatment of Superman. That being the case, Warner Bros. has made Man of Steel 2 a priority, and they will need to find a director to take it on. A new rumor suggests that the studio may be eyeing Star Wars: The Force Awakens director J.J. Abrams. This needs to be taken with a serious grain of salt, but the DC Cinematic Reddit page recently posted a leak from 4chan, which claims that Abrams is on the shortlist to direct Man of Steel 2, along with Doug Liman and perhaps most suprisingly, Edgar Wright. The latter two choices seem much less likely, as Liman is quite busy, and Wright walked away from Ant-Man last year, and likely wouldn't want to get into a situation where he has so little creative control. So, if this report is at all true, Abrams seems like the most likely choice for a Superman sequel, and probably the most logical for the movie. Abrams is a very busy guy, but in terms of directing, he is open, as far as we can tell. He also wrote a script called Superman: Flyboy in 2002, which was to be directed by McG. So, he has some history with the character and can definitely tackle a movie of this scope, and he can definitely breathe some life into a franchise. Abrams would be a very logical choice, at least on the Warner Bros. side. It's just a matter of if he would actually want to do it or not. Even though Superman is currently *spoilers* dead in the DCEU thanks to his fight with Doomsday at the end of Batman V Superman, we know the character is going to return. Zack Snyder brought Henry Cavill out during the Warner Bros. panel at San Diego Comic-Con, pretty much confirming that he will be featured in Justice League. What's more, Cavill took to his Instagram recently to tease Superman's black suit from the Death and Return of Superman comic book storyline. The 4chan leak also had a lot of other speculative details about upcoming DCEU projects. The info claims that Sam Raimi and Shawn Levy are the top contenders to direct the Shazam! movie, George Miller is supposedly directing a New Gods movie, and new release dates for a few upcoming movies, like Ben Affleck's Batman movie, and Suicide Squad 2, which will supposedly feature Deathstroke and see the return of director David Ayer. The report also claims that Wonder Woman director Patty Jenkins is in talks to direct the Justice League sequel, and that Alfonso Cuaron is the top choice for Green Lantern Corps. Here is the full alleged release date schedule. "Wonder Woman- June 2nd, 2017 Justice League- November 17th, 2017 The Flash- April 13th, 2018 Aquaman- July 27th, 2018 Man of Steel 2- October 5th, 2018 Shazam- April 5th, 2019 Batman- June 14th, 2019 Suicide Squad 2- November 1st, 2019 New Gods- April 3rd, 2020 Green Lantern Corps- July 24th, 2020 Justice League II- October 2nd, 2020"
There was also mention of Ocean Master appearing in the Aquaman movie but claims that Black Manta will indeed be the main villain, as well as some TV projects that could connect to the movie side of the DCEU. Titans and Secret Six were mentioned by name. If the leak is to be believed, Warner Bros. will be making these announcements sometime in September. The report claims that this Superman solo adventure will land October 5, 2018. Will it be directed by J.J. Abrams? We will have to wait and see.